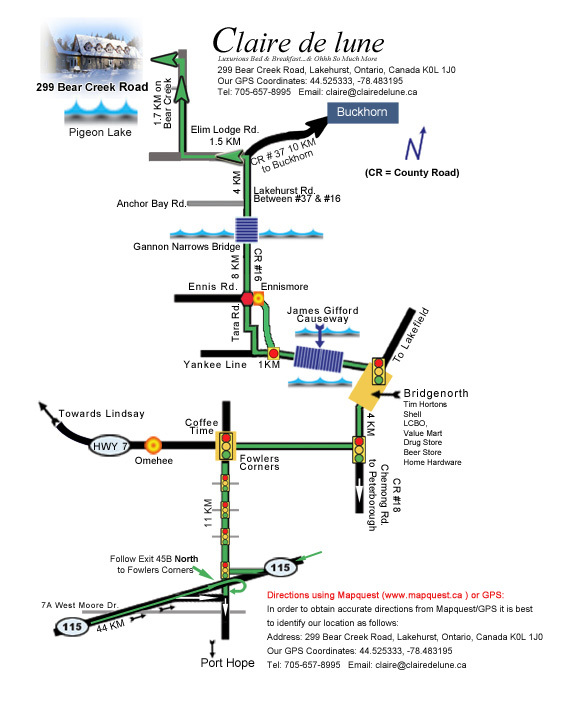 Please click here to access the PDF printable map file. Our GPS Coordinates are N 44° 525333 and W. 078° 783195. 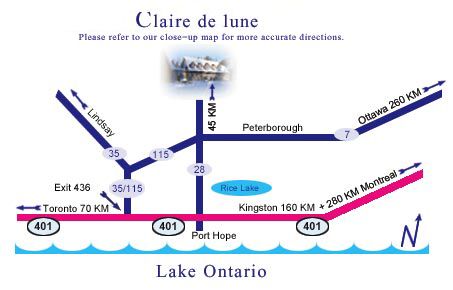 Close-up directions...Please Click here to access the PDF file.